I remember when I would get a letter from my girlfriend, and it smelled of her perfume. I would read it over and over while writing back and waiting for her reply, all the while clutching the first letter. I kept all those letters in a shoebox. It's kind of sad now, upon reflection, there will be no shoebox full of old texts, tweets, bad poetry and sweet memories, just the bitter fruit of life in the fast lane. When we love somebody and they aren't around, we miss them. But, if we truely love somebody, aren't they always with us? Being number 1 isn't everything. It's how you play the game. Of course, you should show up for the game and give it your best effort. You should be focused on the task at hand and always.. oh look, squirrel! 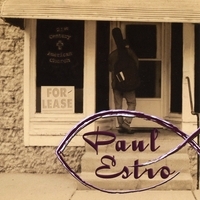 Paul Estro's self-titled debut forges a new and delightful territory in the country gospel music scene. Estro’s raw and witty lyricism, coupled with his intimate Southern backwoods-style vocal intonations, fuses to create a palatable and innovative collection unlike its contemporaries. 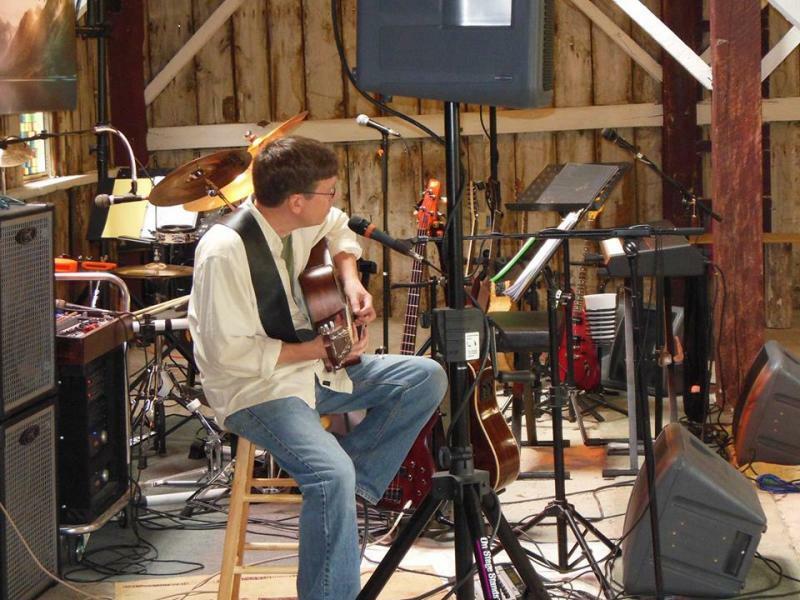 Throughout the 8-song CD, Estro relies on twangy guitar and female Gospel chorus - not to mention the occasional power chord - to deliver songs that extol the virtues of his faith, while skewering the trappings of the modern church. Moreover, the musicianship of this work is exceptional in technique and caters well to the emotions each song intends to invoke. Highlights include the country shuffle, “The Church of McWill," a Guitar Town-era, Steve Earle-like rocker called “Welcome Home," and the catchy “Pastor Martin is Coming.” Fans of country gospel marked by clever satire will find a humorous solace in this memorable debut. In 1996 I was in a tough marriage. I didn’t know it, but my wife was suffering from bi-polar disorder and a hormonal imbalance from recently having a complete hysterectomy. It was her dream to have kids and after four miscarriages and now this, she was in pretty rough shape mentally. She would go from being severely depressed to having fits of rage, crying, hyper, or withdrawn, all like the flip of a switch. It was all I could do to ride the roller coaster, so I self-medicated with drugs and alcohol. We were not religious in any sense of the word and we did not have any type of functional support network. We were two kids slowly drowning at sea. Through all the storms though I never thought she would leave me and run off to start a new life. I was wrong. I came home from work one day and found her and half the house missing. I also soon learned she had not paid the bills for the last few months and had drained all the money out of the bank accounts. I was left with an empty house, four dogs and a pile of bills. I decided I would hit the bar and forget about life for a while. I fed the dogs, grabbed my stash and walked out the door. As I shut the front door an angel which had been on the door since we bought the house fell and landed face up on my shoe looking at me. I reached down and put it back on the door. Then I decided to go back in the house to grab my toothbrush and a knapsack full of spare clothes in case I had to spend the night somewhere, unable to get a ride home. I may be hung over tomorrow, but I would still be at work. I shut the door again and again the angel fell face up on my shoe looking at me. I was more annoyed than anything else. I didn’t see this as a sign from the heavens or anything. I didn’t have a real belief in God - I believed in aliens, and I believed if there was a God he was nothing but an alien resigned to helping us not destroy ourselves until we could grow up. Or, he had designs on conquering us once we were evolved enough to be of use to him. I was into science fiction and all that stuff about aliens building the pyramids and what not. The only taste of religion I got was when I was very young. Up until the time I was about seven we would go to the Catholic Church every Sunday. After church we would go sit in the parking lot of the bar until they opened at noon. My dad would go in, down a few quick beers and come out with a twelve pack of Genesee Cream Ale. Then my parents would fight all the way home. One Sunday it was snowing hard as they got into a fight over giving money to the church. My mom put her foot on the gas and tried yanking the car off the road and over a ravine. My dad yanked the car back and we spun around. As I sat there in the backseat of this little Chevy Corvair, I remember looking out the back window and seeing the car sliding between the guard posts towards the cliff. I was scared to death. The car stopped with inches to spare. When my dad vowed to never go to church again, I was so relieved. My neighbors across the street were school teachers in Florida and they would come up for summer break and Christmas to get away from it all. At Christmas they would have a party and invite the neighborhood. This is where I met Don and for the last two Christmases we had had philosophical religious discussions. Don was from California, divorced and retired here to the upstate New York countryside to enjoy some peace and quiet. He seemed very smart and was a devout Christian. We had debated about the book of Ezekiel. I found it entertaining to rustle his feathers about the whole alien life form argument and he was happy to talk about it. He would always bring it back to God though. He mentioned that one night a week he went to a men’s meeting, mostly divorced or separated Christians, and they recently had discussed Ezekiel. He said he would get me some information on it but most importantly to him, if God was just an alien then his whole religion was a farce. I kind of felt bad for him at the time putting all his faith in a god like that. To me it was mere musing and speculation; stuff to debate while getting drunk and high. Now back to the night my wife left. I should have turned left out of the driveway to head to the bar, but I turned right. As I made the next left I saw Don’s driveway on the right. The next thing I know I was driving down it towards his house. You could not see Don’s house from the road, and I learned later, Don didn’t like visitors. Many of his best friends had never been to his house, but there I was banging on the door not even knowing why I was there. Don didn’t answer the door. His truck was there but he wasn’t around. As I turned to leave I heard a voice behind me. I turned around and there he was walking up out of the woods. I told him my name was Paul. He started apologizing for not getting back to me with the information on Ezekiel. I told him it was okay and I asked him if his men’s group still met. I honestly had no idea why I was here. It was almost as if I was on autopilot. Don explained that the group met on Monday and asked why I was asking about it now. I explained what had just happened. He was very gracious and invited me down the trail into the woods to this little cabin he built. It was the coolest thing. The walls and the door were at odd angles, and the windows were made up of old phone booth casings that I recognized from the mall. It was like something out of Alice In Wonderland. There we sat, two people, probably thirty years apart with nothing much in common but our wives had left us. I remember very little of what we talked about, but I remember him following me home later that evening and praying with me for a while. He also said he would meet me tomorrow night and take me to his church to meet his pastor and his Wednesday night small group. I just kind of shrugged, thanked him and went to bed. I was emotionally drained but oddly at peace. When I came home from work Wednesday night there was Don with his little red Mazda truck backed into my driveway. He took me out to dinner and then to meet his pastor. This was all such a blur. I don’t even remember where we went for dinner which is odd because in our little community you can count all the choices on one hand with fingers left over. But suddenly there I am pulling into the parking lot of a big white church. We parked out back behind the church, walked in the side door and went up the stairs to a small office. There I met Pastor Huth, a short older white haired gentleman with twinkling eyes and a very quiet demeanor. He sat behind his desk, Don sat to my left by the door and I sat by the window looking at the truck in the parking lot. Pastor asked if I had a Bible and when I said no he gave me one. I had him sign it, which I am glad I did. I still have it and it reminds me of how time flies every time I look at the date. I was okay sitting there talking to these two very calm gentlemen, but then I heard voices and people coming up the stairs. Suddenly I wasn’t so good; I wanted to jump out the window. I was scared. I felt trapped and a little voice inside my head was making fun of me. What was I doing here with these old people? Everyone was going to make fun of me. I needed to get out of here and go find my friends at the bar. When the door to the office opened I didn’t want to look. Maybe if I didn’t look at them they would ignore me? Finally I sneaked a glance and I couldn’t believe my eyes. I took a longer look, and then finally a cold hard stare. It was Rick. I knew Rick from the local band scene. I had played with a few members of his band now and then. They were usually falling down drunk. What was he doing here? But there he was. He came over, introduced me to his wife and gave me a hug. I was in shock. I felt better seeing somebody close to my age who I could relate to. We talked for a little bit and then we all went downstairs to the fellowship hall for Bible Study. Rick introduced me to a small group of older people one of whom was Jean Van Riper the school nurse. She made me sit next to her and gave me a big hug. She said she had been praying for me since I was a kid in school. She said she just knew someday I would find my way to the Lord. I didn’t really have an answer for her. Don dropped me off at my house and I went in through the kitchen door. I had a big empty space where the kitchen table and chairs used to be. A green leather recliner sat alone in the living room, pointing towards an empty wall that used to have an entertainment system in front of it. Next to the recliner sat a white plastic lawn chair that used to be on the back porch until Don needed a place to sit last night. It looked rather stark in the house so I opted for the one remaining lawn chair on the porch. As I started reading, it started to rain. I went back inside and settled into the recliner but the lighting from the ceiling fan was horrible. Oh yeah, she took the end tables and lamps too. Even the floor lamp was gone. I tried moving the recliner under the ceiling fan. It was rather depressing sitting in the middle of an empty room, so I thought I would go read in bed. I was about to get myself all comfortable in bed, but once again a lamp was missing. Wherever my wife was going she was going to have plenty of lamps. I found a candle in the bathroom and put that on the headboard where the lamp once sat. Between the bedroom ceiling light and the warm glow of the candle I was finally able to have enough light to see the pages in front me. I started to read the book of Luke. I told you I had four dogs; three labs and a very fat, spoiled beagle named Pickles. As I sat there in bed getting ready to read, Pickles and the two older labs started wrestling at the end of the bed. Sadie, the youngest of the labs took interest in a horse fly that was now buzzing around the candle behind me. I was starting to get very frustrated. I got up and gave each of the dogs a rawhide chew. That should keep them busy so I thought. I was wrong. The three dogs at the end of the bed decided it was time for Wrestle-mania rawhide style and Sadie decided chasing flies was more fun than some rawhide chew. Chaos ensued. I read all of Luke that night and fell asleep somewhere in the middle of Acts. I woke up with my Bible next to me and four dogs quietly waiting for breakfast. I was a new creature in Christ and I felt alive. There was a new peace about me. I was born again. God had a lot of work to do in me - He still does - but it was a new beginning. The 21st century American church must reclaim the gospel of faith and have a prophetic vision. As children of the King we must take a stand and never forget that faith without works is more than just dead, it casts a shadow where we should be a shining light. Yes, we are saved only by grace, but our faith must be a guidepost and a light in the darkness. Too many of our churches have fallen victim to a false theology. These false theologies tend to be either built off of a platform of cultural liberalism in the name of growth, giving grace without personal accountability, or religious fundamentalism feeding off of fear. Personal faith should never be built off of false righteousness or by out casting others by exhorting personal perceived moral failures. This thinking is detrimental to the vision of Christ and will doom a church to die on the vine. Secular progressives have been waging war against our faith. They have campaigned hard to remove any hint of Christianity from the public square as they try to portray Christians as outdated, ignorant and misguided. The Christian right has helped their cause by portraying any Christian that does not believe in their rightwing political platform as having a less than genuine faith and being less than a true Christian. This has left millions of Christians feeling very disenfranchised. While it is true that the sanctity of life and family values are important topics they should not be our only defining issues. Social justice, personal responsibility and human rights must be the foundation that our faith and our churches are built on. We need to let the world see that through our works, our personal accountability and our demeanor. Jesus was not a Republican or a Democrat. He mandated that we give to the needy, the widows, orphans and destitute. He also demanded personal accountability from everybody. He lived out his faith through his works and he didn’t waiver or change his principles to meet the cultural norm of the time. Likewise, he did not isolate himself and his followers from the world or isolate himself from those who had different beliefs. We must live out our faith through all we do, hold fast to Biblical truths and yet be tolerant of others. We must build bridges to those who in our society that have different beliefs but we must never lose sight of our moral compass or waiver on our principles. We may hate the sin but we are mandated to love the sinner. Be a light unto the world and let the Son shine. In a time when many Christian artists are watering down their message, masking their lyrics, compressing their faith and trying to mimic the mainstream media, I am taking a stand for Biblical truth and the true word of God. Using humor, honesty and a variety of styles from folk to blues, to rockabilly, the music hits home to a post-modern world which seems to have lost its way. Sometimes it may hit too close to home. Caution: My music is politically incorrect, and contains lyrics based on the Word of God, not post modern church doctrine. Besides false doctrines, I believe that another major problem in the church today is a lack of leaders. That is to say, there are too few people who are mature and stable enough in their Christian walk to lead others to that point. I have encountered many people who are no better off today than they were five or six years ago, when they first got saved. We can not keep bringing people into the kingdom when we are not moving people forward to wholeness. Church leaders are overwhelmed now, what would most churches do if suddenly their size doubled with new believers? Pastors, I urge you to equip your flocks with the tools they need, and to let them go. Your success should not be based on the numbers in your pews, but the numbers you have truly reached through those you trained. My goal is to spread the gospel and to bring Christians to an understanding that we must run our race to the fullest. All the while growing in our gifts, living our lives to what God has called us for, and relishing in the joy that is found through the peace Christ gives us. That is not an easy task. It requires personal responsibility and effort, something a post modern world doesn’t teach.